Scientific Assessment of Ocean Glitter (SArONG) is an ESA project under the EO Preparatory Programme (EOPA) of the EO Envelope Programme (EOEP) initiated in June 2016. In the 24 months of the project’s lifetime, the SArONG team comprising Earth Observation experts from four different European organisations, namely Brockmann Consult, OceanDataLab, Ifremer, and University of Exeter, will consolidate and advance the current state of ocean glitter research. 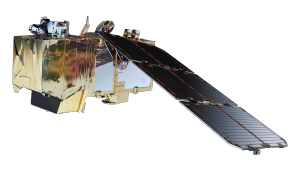 In particular, the team will evaluate existing algorithms for the production of Level 2 oceanograpic products from Satelitte Sun Glitter Imagery (SSGI). Several candidate instruments including Sentinel 2 and Sentinel 3 will be considered to eventually process a set of useful products, which will be validated against products derived from Synthetic Aperture Radar (SAR) instruments. The University of Exeter will also collect high-resolution optical data rom instruments mounted to drones and light aicrafts. In SArONG, an attempt will be made to verify satellite-derived ocean glitter products by comparison to airborne observations in coastal oceans. Finally, there will be a scientific workshop in 2018 to discuss the lessons learned and the road ahead for SSGI (Watch out for the official announcement here on the webpage!). The synthesis from the workshop and the insights from the project will form the basis for the definition of the scientific requirements for a potential satellite mission.